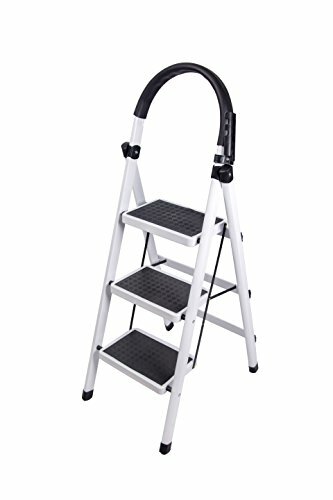 With A Sturdy HD Construction, This Ladder Will Make A Handy Addition To Any Home. When Folded, It Takes Little Space And Can Be Placed Easily. Our Item Is Ideal For You To Access The Hard To Reach Places In And Around Your Home. This Ladder Comes With A Small Tool Holder To Place Your Tools Which Makes It Even More Easier For You To Work With.